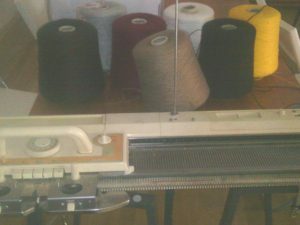 So, me and the knitting machines move into Archway for a couple of weeks. If you’re in the area look into the window on 36 Junction Road to see the art in progress. There will be an open door on Saturday 23rd February between 12 and 2pm if you want to participate in the project.